Sydney Red Gum ( Angophora costata, MYRTACEAE ). The caterpillars pupate in their case. 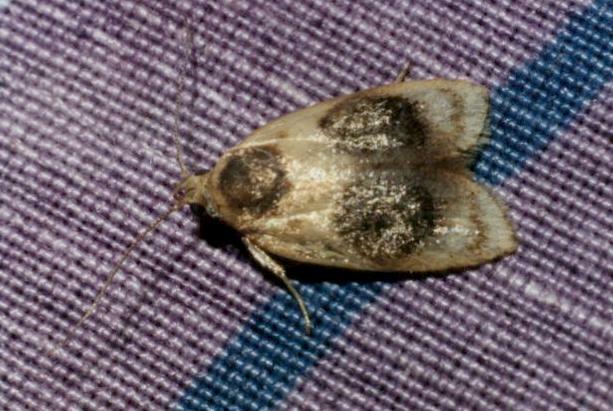 The adult moth has pale brown wings, with a large dark spot near the middle of each forewing. 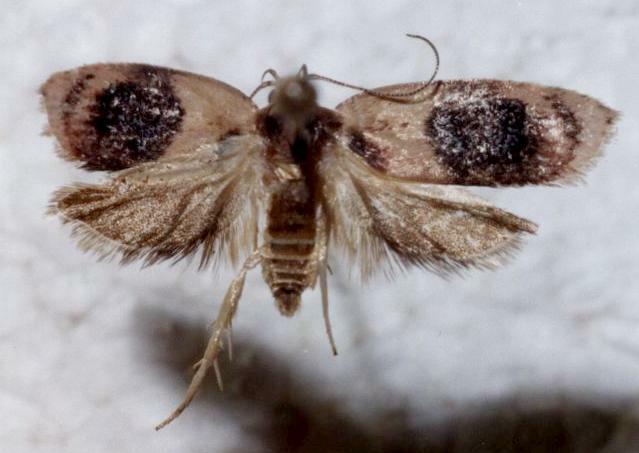 It has a wingspan of about 1.5 cms. CSIRO Publishing, Melbourne 1994, pp. 294, 295, 301. Volume 7, Part 4 (1883), pp. 488-489.